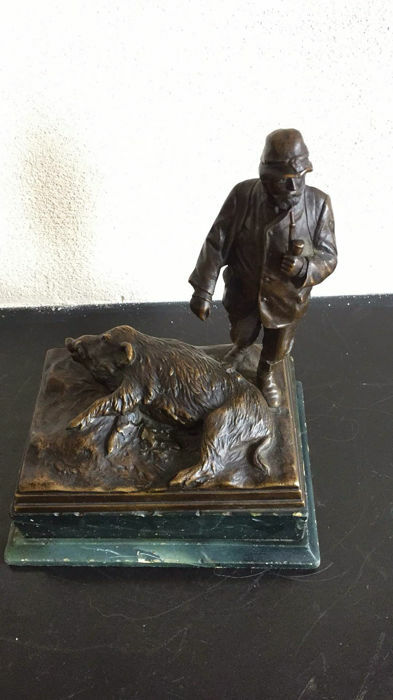 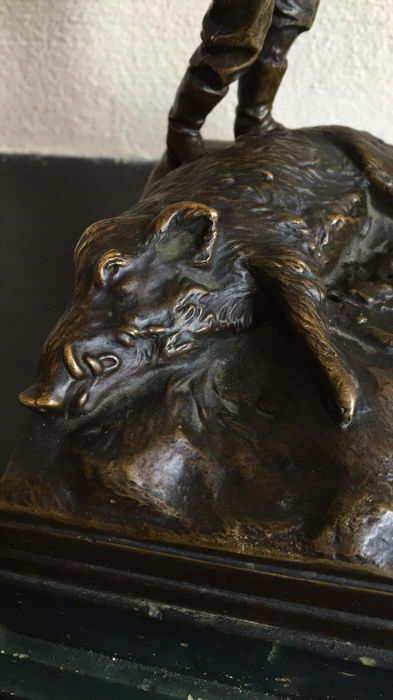 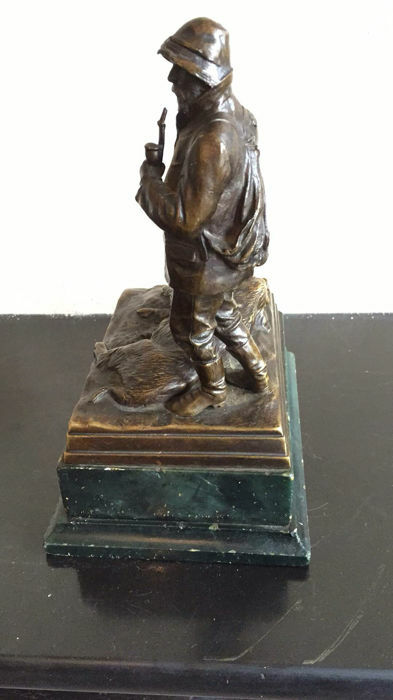 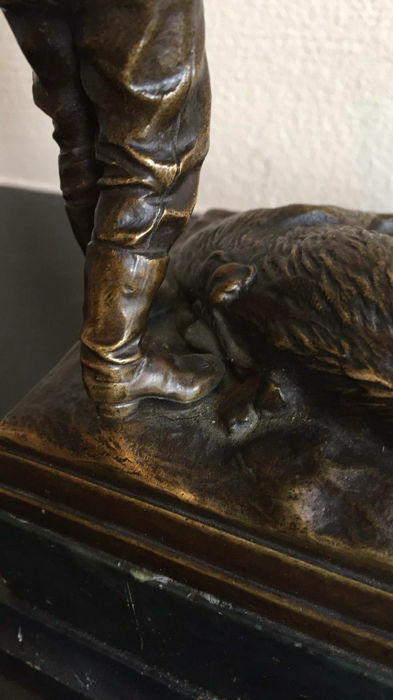 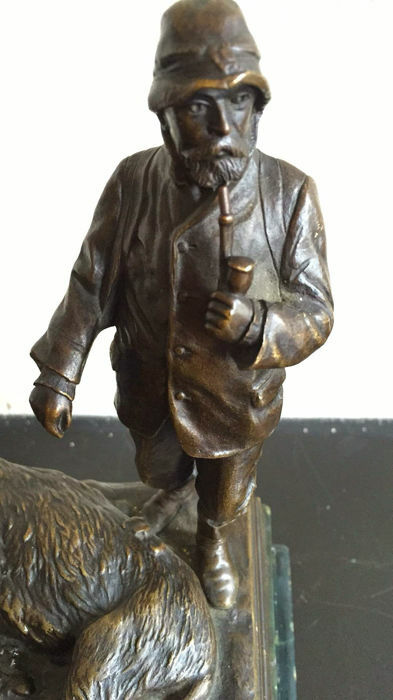 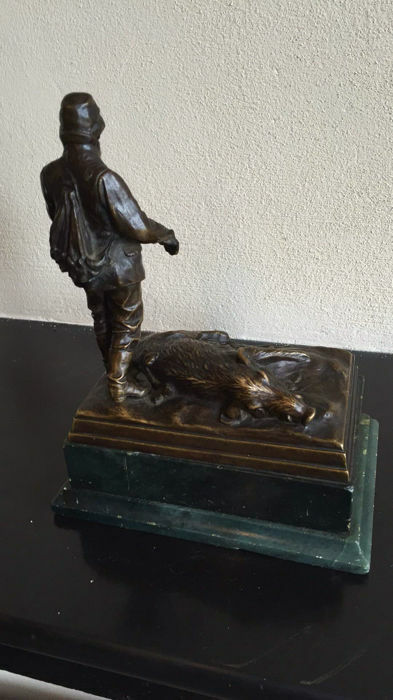 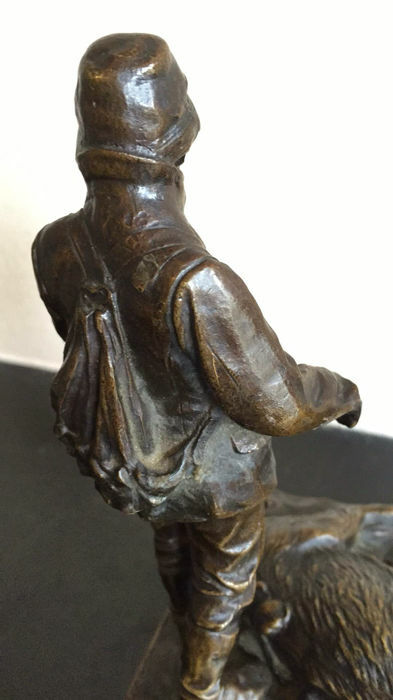 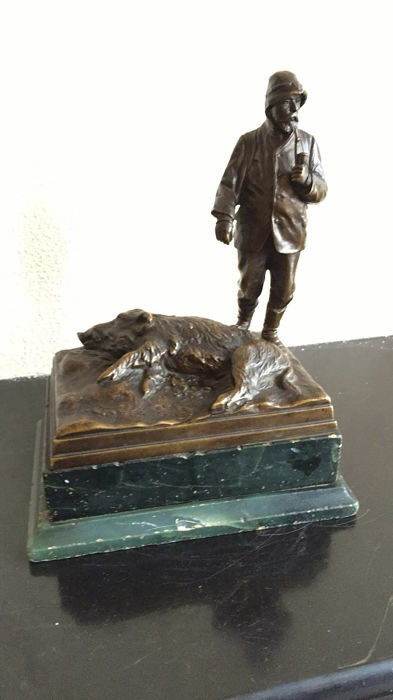 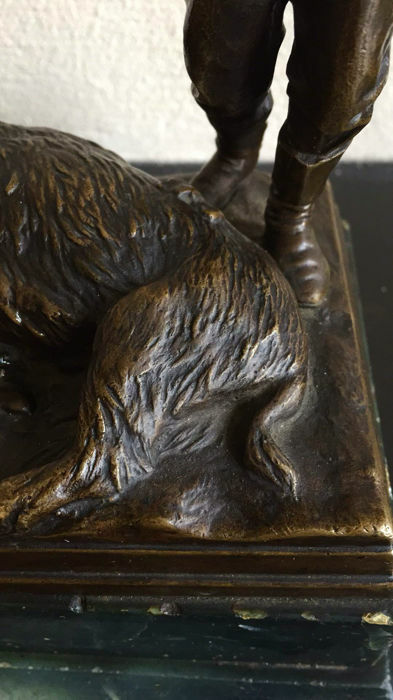 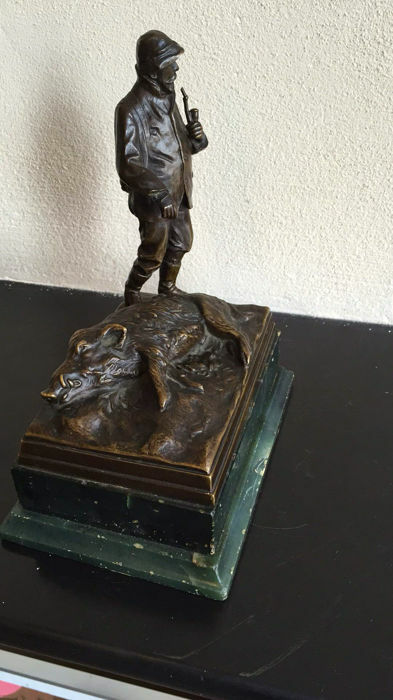 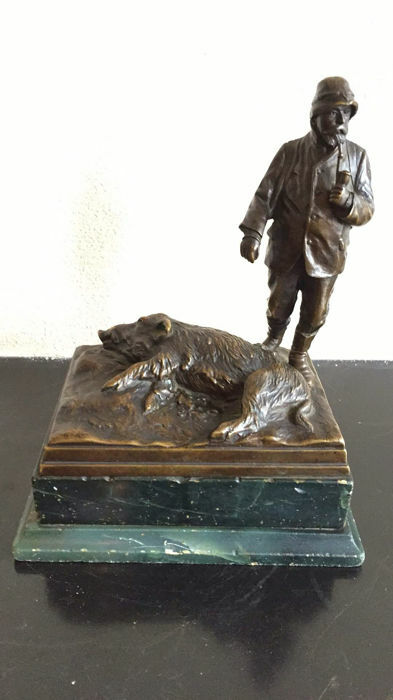 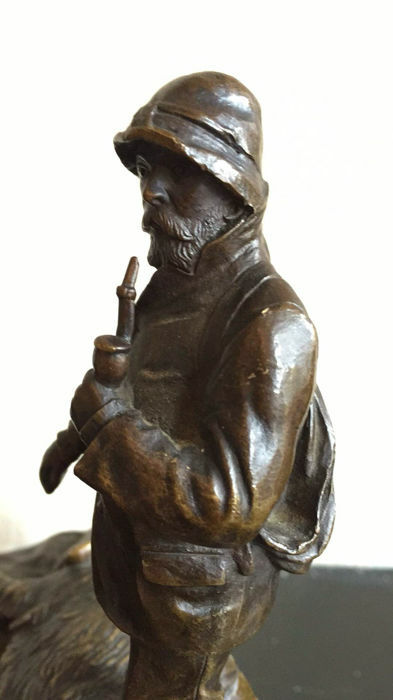 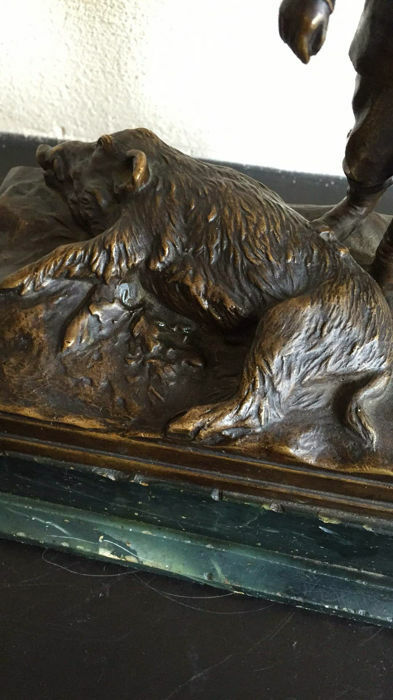 A very nice bronze scene of a hunter with a wild boar at his foot. 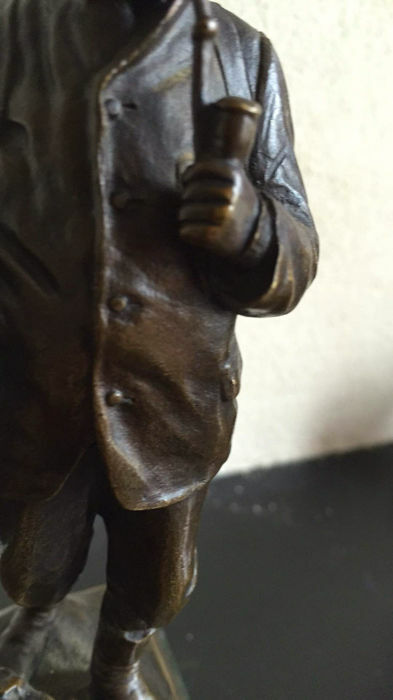 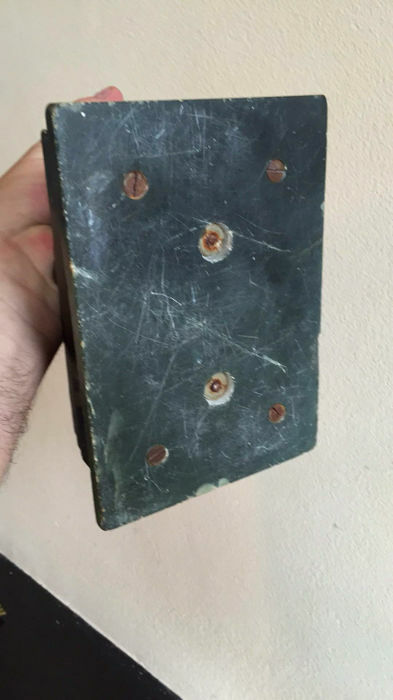 The whole stands on a marble base. 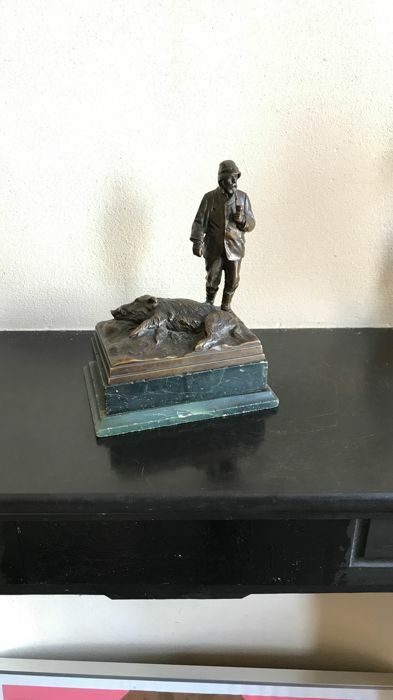 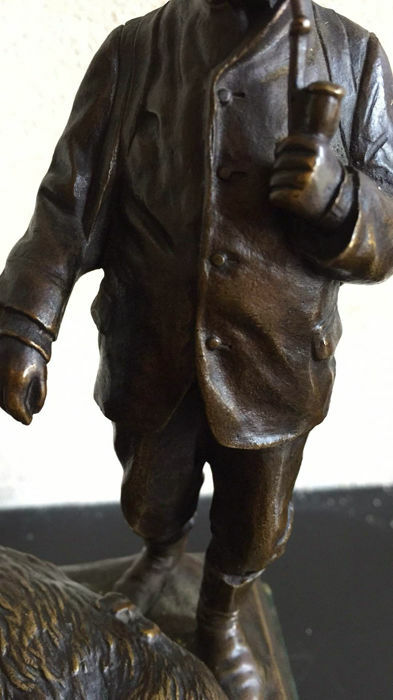 In good used condition with some chips on the marble base.